This maple tree is directly outside of my bedroom window, I've seen it hundreds of times before but never thought of painting it. I happened to notice it when I was checking the temperature on the thermometer attached to my window; I think it was the way that the sun was hitting it that caught my attention. I grabbed my camera and took a few pictures. While the leaves form a random pattern I still took the time to compose the image, and some of the photos were more effective than others. 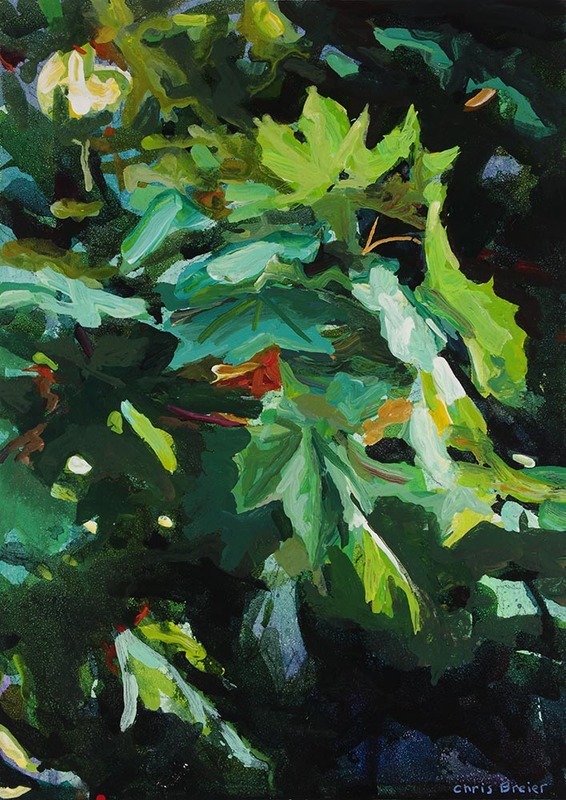 I enjoyed painting the leaves at various angles and I used thick and thin paint to create an impressionistic style.